They say that nothing strengthens human bonds more than sharing a life-threatening event. 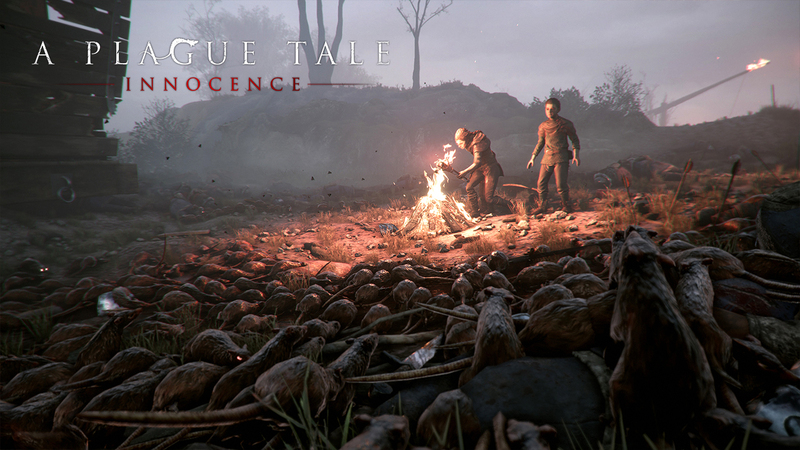 Enstranged siblings Amicia and Hugo De Runes are about to find this fact out for themselves as we see in the latest trailer for A Plague Tale Innocence released by Focus Home Interactive and Asobo Studio. Innocence takes place some time during the Great Plague and the Hundred Years War. This puts the De Runes siblings under the constant threat of death from both disease and the Inquisition. And believe me, the way the plague-carrying rats are depicted in this game would terrify anyone. And if that wasn’t enough, Amicia and Hugo haven’t really been the closest of family members. The awkward relationship between the siblings creates even more tension in the midst of rabid rodents and overzealous fanatics. It adds a certain human factor that presents itself in between all the puzzle-solving and surviving. The question is will they end up becoming closer than ever before, or simply succumb to the death and suffering all around them. A Plague Tale Innocence is set to launch on May 14th for PC, Xbox One and PS4. A Plague Tale Innocence is a brand new adventure game from ReCore developer Asobo Studio. Read on to learn what it’s all about.